Ladies and gentlemen, the jury has filed back into the room, and a verdict has been announced. J.D. Salinger is the victim of a literary crime. His daughter, Margaret Salinger, is the guilty party. (This time, that is. Last time it was his ex-lover, Joyce Maynard.) Dream Catcher, Margaret’s memoir of her life as the problematic daughter of the most misanthropic author in America, strikes “a blow beneath the belt,” critic Jonathan Yardley says. Another, Sven Birkerts, charges that Margaret Salinger has broken two laws of nature. The first of these is the father-child bond, whose “ontological essence” she violates by exposing its intimate details to public scrutiny. (Margaret Salinger reveals that her father drank his own urine, knowingly left her in the hands of a sadistic boarding-school headmistress, and recommended that she get an abortion when, as a married adult, she got pregnant.) The second dictates the proper place of the unskilled writer, which is at a respectful distance from the more accomplished one. “It seems evident that the lesser cannot comprehend the greater,” Birkerts writes. Actually, what seems evident is that if writers adhered to Birkerts’ exacting code of conduct, literature as we know it could no longer be produced. The effort of the lesser to comprehend the greater might describe what goes on in nearly all biography and criticism. (Sure it’s more fun to read great minds on just about any subject, but for obvious reasons this experience is relatively rare.) As for the parent-child relationship, laying bare its “ontological essence” has been among the most common projects in American writing–fictional and nonfictional–of the past several decades. Margaret Salinger hasn’t done anything to J.D. that Philip Roth didn’t do to his father in Patrimony, his memoir of his father’s death, with admittedly greater skill, or that Dave Eggers didn’t do to his parents in A Heartbreaking Work of Staggering Genius, with more mixed results. It’s just that she did it to Salinger, and looking too closely at him has become one of American letters’ great taboos. Why do memoirs of Salinger enrage the literary establishment to the point of illogic, while other authors may be remembered with impunity? One reason is that Salinger commands an unprecedented brand loyalty among American readers. Most people encountered him when they were teen-agers, a period in life when, as all marketers know, we form our most durable attachments to consumer products and cultural icons. Salinger’s high-minded if eccentric rejection of all forms of publicity and salesmanship–including book jacket illustrations, which he considers corrupt–also envelops him in an aura of purity. If he really wants to be left alone, the least we feel we can do is let him be. I have another theory, though, which is that Salinger’s work is cleverly designed to stimulate a protective response. How long has it been since you last paged through Catcher in the Rye, Nine Stories, Franny and Zooey, or Raise High the Roofbeams, Carpenter? If the answer is “at least 15 years,” I defy you to read all four books (the entire available Salinger oeuvre) and not see them as a pander to the adolescent in each of us. Every book makes the same point. It is that there are souls so sensitive, so precocious, that their only option in life is to quit it forthwith. 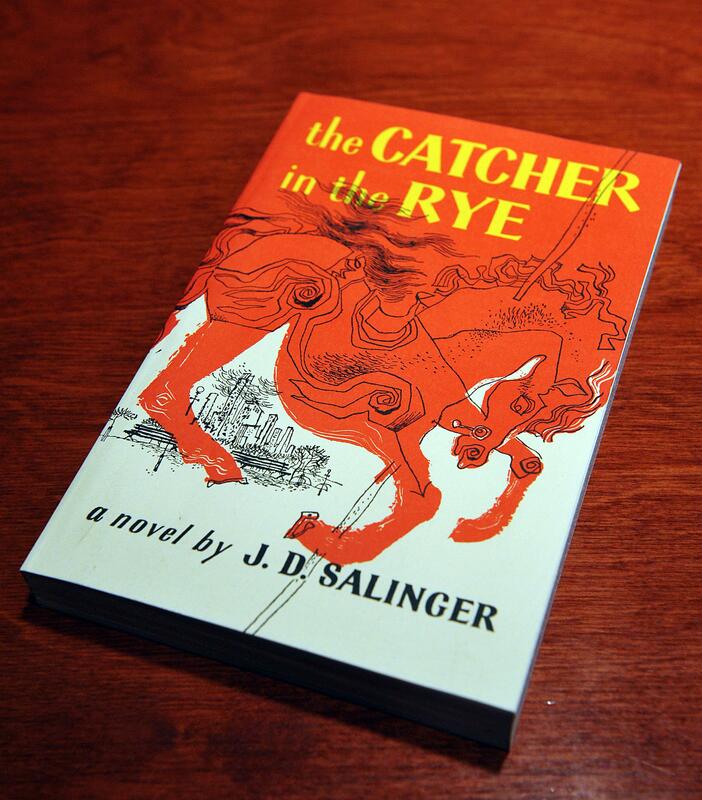 Of the two families who dominate Salinger’s work, the Caulfields and the Glasses, it goes without saying that the finest and most brilliant members–Holden’s little brother Allie and the mystical child prodigy Seymour Glass–die young. The survivors spend the rest of their lives mourning the phoniness of the world the departed ones left behind. The perverse effect of these stories and novels is to lure us back into the comforting dream of our own unappreciated genius, which most of us have only woken up from with great reluctance. Salinger’s characters flatter us by assuming we share their privileged insights; that, in turn, convinces us that their creator is one hell of a guy. We believe in him the way we once believed in that screwed-up kid from senior year, the one who put everybody else down with sharp wit but reserved a special tenderness for us and became a garage mechanic because he was too principled to go to college. Salinger disappeared into the solitude of New Hampshire to escape the taint of the gossipy publishing world. We honor that decision as if it represented lost innocence itself. The possibility that the romantic figure we worshiped at 17 might turn out to be crazy–or worse, a minor writer, mannered and garrulous and enamored to excess with nervously smoked cigarettes and heartfelt “goddamns” and uncannily cute children and self-dramatizing drop-outs–is too painful to contemplate. Note that J.D. could be a sweet father as well as one who was impossible to please. He was by turns an uncondescending playmate, a wiseacre older-brother type, and a lively travel companion. But Peggy’s all-too-human needs proved too much for him, as they did for her mother, and when the daughter reached eighth-grade the parents (now divorced) parked her at boarding school. She obtained the rest of her secondary education away from home, bouncing from school to school. She grew wilder every year, more lost and disorganized. She tried without success to find stability in boyfriends and their families. Before she graduated from high school, she was living on her own in Boston, though she had little idea how to go about it. The chapters of her memoir detailing her grown-up years are both sad and oddly encouraging: Peggy had a way of stumbling into menial jobs and bad marriages and mysterious bouts of ill health, then extricating herself and winding up in places like Brandeis, Oxford, and Harvard Divinity School on scholarship. Now a lay minister, Margaret Salinger writes like someone who has been through years of therapy and religious training, which is to say, with a processed knowingness and unprocessed rage, as well as an almost fulsome joy in the small things of this Earth. Her recollections of her childhood range from the refreshingly specific to the ramblingly self-involved to the outright whiny. When she sets out to correct the record, she can be pedantic and obvious. She reviews practically the entire history of anti-Semitism in America in order to argue that her father suffered from it more than has been realized. This is undoubtedly true, but the overview is unnecessary. She dwells at uncomfortable length on authority figures she thinks mistreated her. There’s more to this book than navel-gazing and score-settling, though. There are Margaret’s insights into her father’s hermetic literary universe, and for those who want to re-evaluate it, she can be an indispensable guide. Of course she had to become fictional! you may object. J.D. Salinger wrote fiction, after all. And indeed, on the face of it, Margaret’s complaint is so much meaningless psychobabble. No one made her conform to her father’s mildly pedophilic fantasies, particularly since all he did was write them down for a living. But there is something evocative about her critical method–interpretation through failed emulation–unorthodox as it is. Because of the intensity of J.D. Salinger’s following, which reached its peak in the early 1960s but remains strong to this day, his characters have the status of something almost real, psychosocial Platonic ideals that have imposed themselves on the world to less than happy effect. It is not irrelevant that Catcher in the Rye is the handbook of choice for confused adolescents who turn into assassins: Mark David Chapman, John Hinckley, Arthur Bremer (who shot George Wallace). If Salinger’s work is satire–and it’s doubtful they took it as such–it’s satire without a plausible vision of how things might otherwise be. Stripped of the bitter jokes, the book comes off as the sulk of a man who wants nothing more than to retreat into the sacred circle of the self. Indeed, Holden looks like an extrovert when you compare him to Salinger’s later fictional offspring, the Glass children, five former quiz-show stars who can hardly bear to leave their parents’ Manhattan apartment for fear of the vulgar hordes. No wonder Salinger’s daughter hates them all! The only question is, why don’t the rest of us?